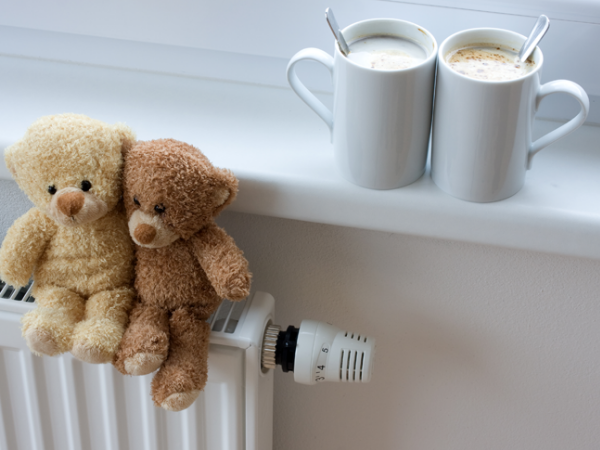 Radiators use hot water generated by a boiler to warm the air in a room. Generally, the hotter the temperature of the radiator, the hotter the room temperature will be. Radiators are by far the most common form of heating in a home. In each of the rooms that require heating, there will be one or possibly more radiators. Radiators must always be free of air and full of water in order to function well. If you notice a cool spot on the radiator, particularly towards the top, it could mean that air is trapped inside. An air release vent on the radiator allows you to release the air using a special air vent key. Releasing air should take place when the radiator is cold. If you have a sealed heating system (one without tanks in the loft) then make sure that you know how to check that the water in the system is at the right pressure and how to top up the levels if it’s not. Please note that it is most important that your installer has instructed you on how to do this, or visit the Worcester Bosch YouTube channel for guidance. More often than not, radiators are sited underneath a window so that the warm air that they generate heats the colder air coming in through the window. A radiator will not perform as well as it should if curtains cover it or if shelves are fitted above. Putting furniture or tables in front of a radiator will also affect your comfort. Radiators should all heat up at the same even rate. To make sure they do, your installer should have ‘balanced’ the system. This is achieved by adjusting each radiator’s lockshield valve, which regulates the water flow. In a balanced system, individual room temperatures depend on all the radiators working at the same time. If you decide to turn off radiators, for example in spare bedrooms or rooms that you rarely use, you might find that rooms adjacent to those have a slightly lower temperature. Top radiator tip: Make sure the areas around your radiators are always clear. Putting furniture in front or covering radiators with long curtains will block the heat. Top radiator tip: If your radiators are getting excessively hot and the boiler is rapidly turning on and off, the temperature of the water going to your radiators may be set too high. This wastes energy and reduces the boiler’s efficiency. You can usually adjust the temperature using the central heating control dial or adjustment switches on your boiler.